One hot summers day about 8,000 years ago, in a small village somewhere outside of Mesopotamia a woman was doing work around her hut when she noticed how much barley was growing in a nearby field. She knew that there was some nutritional value to the barley, but it was too hard to eat and was bitter to the taste. She came up with the idea of trying to soak the barley in a bucket of water to soften it up. After, several days she realized that she had forgotten the seeds, so she went to the bucket and found that the hot summer’s heat and the starch in the seeds had been turned into a sugary mush. This was a very tasty treat so she began to do this often. One day when a strong wind came along the yeast from a nearby grapevine was transferred to the bucket of barley seeds. The yeast worked on the sugar causing it to ferment into alcohol. When the woman came back to get the seeds she found this mixture and when she drank it she suddenly became overwhelmed with a warm, tingly sensation. BEER WAS INVENTED. This may not have been the exact way it happened but it is believed that beer was invented by a freak accident. There is no record of when or how beer was invented, but some records have been found that date beer back to almost 6,000 years ago. It is believed that the Sumarians were the first people to have the knowledge of beer. The process of the ingredients mixing happened by chance; however the Sumarians had found a good, divine tasting drink. The next civilization to know of beer was the Gilgamesh. According to a Gilgamesh epic written in the 3rd millenium BC, it is learned that beer was as much a part of the daily diet as bread. The Gilgamesh established that beer was a drink of cultured humans; however, it wasn’t until the Babylonians came along that the art of beer making was really mastered. The Babylonians desired a method of mixing and dividing the ingredients to come up with different flavored beer. They knew how to brew over 20 different types of beer. There were eight made from pure barley, eight made from pure emmer, and four made from different types of mixtures of grains. In the Babylonians time, the beer was very cloudy and unfiltered and cane reeds were used to avoid getting a nasty brewing residue that was very bitter to the taste. The Great King and most famous ruler of the Babylonians, Hummarabi, decreed the oldest known set of written laws in the world. One of the laws was that each person had to have a daily beer rationing. The rationing depended on social status. A worker received two liters a day, a civil servant received three liters a day, and priests and administrators received up to five liters a day. In the Babylonian society the job of the woman was to brew the beer, and if a woman was caught serving bad beer or trying to take money for her beer she was drowned immediately. At the end of the 1st millenium the role of brewing beer turned from the women to the priests of the Monasteries. At, first the monks brewed beer to drink with food and for fasting; however, when they realized what a good industry it was, they began to brew beer for commercial selling. The monasteries became a commercialized industry until the government stepped in and tried to tax the beer. When the government realized that it could not tax a religious sanctuary, they prohibited the monks from selling the beer. 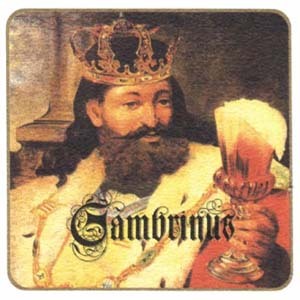 One well known beer brewers was King Gambrius of Flanders. He is came up with the idea of issuing a beer license. The “flavor” license allowed each brewery to have its own ingredients and mixture. This was in hopes to control the amount of grut that was used in brewing beer. Grut is a mixture of spices such as blackthorn, oak bark, wormwood, caraway seeds, and others that were used to make flavors. The bad thing is that some of these mixtures were deadly. To help from combining poisons with beer mixes, a decree was made in 1516. The decree stated that only barley, hops, and pure water were to be used in brewing beer. This is the oldest and longest lasting food laws still in effect and was written before beer makers knew that the most important ingredient was the yeast. Since the invention of beer there have been many new inventions to accommodate for it, especially in the field of storage and refrigeration. Carl van Linde invented a system of refrigerated cold storage so that beer could be brewed and enjoyed all year round. Also, large metal barrels called kegs have been changed from wood to aluminum to increase sanitation and the ease to fill and clean. All of these advancements and many more have led to the enjoyment of beer. As time continues to march by, beer will become much more advanced and enjoyable for everyone so we can have a good ice cold brewsky any time we want. European and American beers are a lot different in flavor and content, but are brewed similarly in the U. S., where the word beer is generally understood to mean lager beer (beer stored for a time before being sold). This drink contains an average of 90 percent water, 3.5 percent alcohol by weight, 0.5 percent carbon dioxide, and 6 percent extractives consisting of proteins, carbohydrates, minerals, and aromatic flavorings. It is made by bottom- fermenting yeasts which are yeasts that settle at the bottom, act slowly, and develop the brew at low temperatures. Beer has had a lot of names, and it has been produced since the beginning of time. It was made in ancient Mesopotamia, Egypt, and Greece. It was first brewed in homes or in monasteries. It became a commercial product in Europe in the late Middle Ages. Today, it is produced in almost all industrialized countries, especially in Great Britain, Germany, the Czech Republic, and the United States. The art of brewing beer came along gradually. The Holy Roman Emperor, Chrales IV, was a friend of the beer industry. Emperor Rudolph II’s doctor said that beer was a healthy beverage. From that time on, the art has developed extensively. During the medieval period, monks were greatly concerned with making beer because they wanted a tasty, nutritious drink to serve with their meals, which were frugal at best, especially during the fasting periods. As the consumption of liquids was not considered to break the fast, beer was always permitted. The people at the monasteries consumed a lot of beer. Historians report that each monk was allowed to have 5 liters of beer per day. Monks were given the right to sell beer because they paid a fee for the right. With the money they raised many of the monasteries developed into well managed projects. The beer was given out to people in the monastery pubs. The monks promoted their beer a great deal so it was of high quality. As time passed, exporting beer took on big role. Regular brewing centers developed. 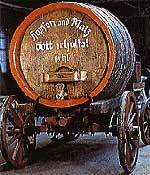 In the 14th century Bremen was the primary beer supplier of the Netherlands, England and the Nordic countries. Due to international beer export by the Hasna, Hamburg also developed into one of these brewing centers. In 1500 there were 600 breweries in Hamburg alone. The Hansa even exported beer to far away India. In order to guarantee a high level of reliability, quality and consistency, the Duke of Bavaria, Wilhelm IV, proclaimed the German Beer Purity Law in 1516. This decree approved for the first time that only barely hops and pure water could be used to brew beer. Today this Beer Purity Law is the oldest still legal food law in the world. In the eyes of European Union, however, this law was inhibitive to competition. In the New World, the skill of brewing beer was practiced by the Native Americans before Christopher Columbus arrived. The first Europeans to brew beer in America were the Virginia colonists of 1587. The selling of beer was encouraged in early colonial laws in America as means of reducing the consumption of stronger alcoholic beverages. Under Friedrich Willhelm I’s rule, his beer became socially acceptable and presentable at court. His legendary “Tobacco Council” was nothing more than the first group of drinking buddies. The French chemist Louis Pasteur was the founder of micro- biological sciences. He was born in Dole, France. Pasteur recieved his scientific education at the Ecole Normale Superieure in Paris. He was a professor of chemistry in Strasbourg and professor of chemistry and dean of the Lille Faculty of Sciences, which he began in 1854. Pasteur said that types of microbes could be separated from each other by special techniques and differed in nutritional requirements and in their susceptibility to antiseptics. Pasteur studiedthe origin of microorganisms and demonstrated that each microbe is derived from a pre-existing microbe, and that spontaneous microbes already present in these products and by protecting the sterilized material against subsequent contamination. Pasteur applied this theory to the preservation of beverages and foodstuffs, introducing the technique of heat treatment now known as pasteurization. Louis Pasteur had a great impact on the production of European beer. Two other extremely important inventions revolutionized beer brewing. The first was James Watt’s steam engine and the second invention was artificial cooling by Carl von Linde. At that time it had already been scientifically proven that the making of good beer required certain temperatures. Some of these temperatures occured naturally only in winter. From the time of von Linde’s invention on, brewing could take place in summer too. It seems that the Czechs have been drinking beer since the beginning of time. Czech beer is special because the agricultural conditions are ideal for growing hops, which is the main ingredient in beer. Bohemian hops were a prized possession, and anyone who was caught exporting the cuttings from which new plants could be grown, was executed. The U Fleku microbrewery in Prague has been in operation since 1499 and is still growing strong even today. The first Czech brewery was built at Cernenice in 1118. Only the citizens who lived in the Czech lands had the right to brew beer in the earlier days. Most citizens had a microbrewery in their own homes. As time went on, some of the citizens bonded together to form a cooperative central brewery. They would take the beer extract home and finish the brewing process there. In the 13th century, King Wencelas convinced the pope to revoke an order banning the brewing of beer, which may explain why beer drinkers call him “Good King Wencelas.” The breweries began selling their products to the public. This began the Czech beer industry. Sixteenth century beer didn’t last very long. Feudal lords forced their laborers to drink the beer produced on their property. This was a way for the lord’s to make money. The Czech beer industry was greatly effected in Northern Europe during the Thirty Years War. The emperor of Vienna sent a Czech brewmaster to Mexico to teach the Mexicans how to brew beer. Beer drinking is probably the most popular hobby among Czech men. The communists produced beer simply to squeeze as much money as possible out of the beer industry. They almost doubled the price of beer in 1984 because they knew the Czechs would buy the beer regardless of the price. As the price of beer increased, a decrease in beer consumption was predicted, but the numbers did not go down much even afer the price controls were lifted in 1991. Beer prices have gone up just as the price of everything else has gone up, but the price of beer is still comparatively low. Breweries try to make up for their low profit margin in exports. Czech beer demands premium prices for their exports. Even though many breweries are deeply in debt, they have still been promoted and trade at the top of the stock market. Many breweries are deeply in debt due to payment problems. It is expected that there will only be a few giant breweries and a small clutter of small local microboundries in the Czech Republic. The brewing industry has been around for a long time. Over the thousands of years, it has changed a great deal. The prices have gone up and down along with the quality. Several famous people have had an impact on the production of beer. Hopefully beer will continue to become better and better as time goes on. The Europeans are famous for the many beers that they brew and distribute. The Europeans manufacture over one hundred different brands of beer, and that's not counting all of the home and small town breweries. The Europeans have been brewing beer since the beginning of their civilization. Brewing a fine beer is considered as a great art form by many. "The world was astounded in 1913 when it was discovered that as many as nineteen types of beer were brewed in Mesopotamia five thousand years ago. It is fitting that the archaeologist who first deciphered the Sumerian tablets containing this information was a Czech named Bedrich Hrozny. Beer was also brewed in the earliest Czech civilizations. There is evidence that hops were cultivated there as early as 859 and were being exported in 903. The first written documentation referring to brewing dates from 1088, and even British beer authority Michael Jackson agrees that "the Czechs are the number one beer-brewing nation in the world today." The Czechs are first in per capita beer consumption, they founded the first Beer Museum in the world, they founded the first brewing textbook, they founded the first Pilsener and Budweiser, and they also had the president to write a play based on his experiences working in a beer brewery. It took the Czechs a long time to develop their fine art of brewing. The worldwide fame of the Czech beer industry dates back from the Renaissance, as does the Bohemian tavern which is famous throughout Europe. In the early sixteenth century, the Czech beer industry contributed as much as eighty-seven percent of the total municipal income. Their main export came from the town of Ceske Budejovice in south Bohemia; however, the name was so hard to pronounce that it was referred to as "Budweis," which is still associated with great beer today. 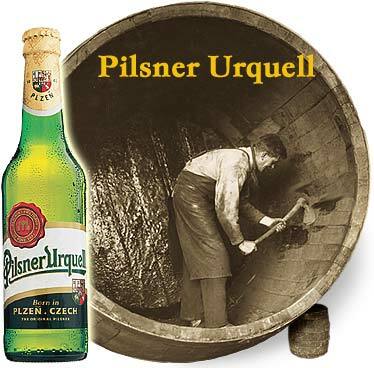 The word Pilsner is a derivative from the west Bohemian town of Plzen. The Thirty Years' War, which devastated much of northern Europe, also devastated the Czech beer industry. Beer was once used to pay off a Swedish army to prevent the ransacking of Kutna Hora. The Emperor in Vienna even sent a Czech brewmaster to Mexico to teach the Mexicans how to brew beer. The Czech beer industry came out of its slump with the "national awakening" movement in the nineteenth century. Many people who drink beer gain weight. Some even say that "Beer makes beautiful bodies", and I guess after a few of their beers it doesn't really matter what you look like. Beer and the drinking of beer is just as much a part of Czech culture as their flag or their national anthem. A favorite saying of the Czechs is, "Where beer is brewed, they have it good." The Czechs like to drink their beer with just about anything. They drink it with cheese, roasted pork, cabbage, dumplings, and just about anything else. They even have a recipe for beer soup! A large majority of the Czechs drink their beer in pubs. They see it as an opportunity to meet with friends. The beer is normally served in half liter glass mugs. The pubs serve light and dark beer, and it is all served at ten to twelve degrees Celsius. The light beer is the most popular of the beers in Eastern Europe. There is even diet beer for those who are watching their weight. The diet beers are low in sugar and alcohol. The Czechs will only drink their beer out of a bottle or a mug; the only reason they even have canned beer is for the consumption by foreign tourists. Beer is measured in the Czech Republic by degrees according to the method devised by Professor Balling in the seventeenth century. The degree sign caused some confusion for consumers in the past as international norms used it to signify the temperature of brewing and other things. So it was changed to a percentage sign which causes confusion among consumers today. Many think that the percent is the amount of alcohol, but it's actually the amount of maly extract used in the brewing process. The percentage of alcohol is about a quarter of the "percent"shown on the bottle, so twelve percent beer is roughly 3.1 percent alcohol, though it's often higher. Czech beer comes in degrees from six to nineteen percent, but ten percent and twelve percent are the most common. The highest degree is Pernstein from Parbudice. 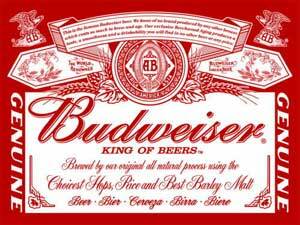 The beer Budweiser was adopted by the American brewer Adolphus Bush; however, when the Czech brewery, a few years later, wished to begin exports to the new world, this caused problems, and Budvar had to be given another name. For a little while it was called Crystal. Now the two companies manage to avoid each other's markets. Both companies are currently entangled in a trademark dispute in the right to use the name "Budweiser" and variations of it in Europe for their two very different beers. 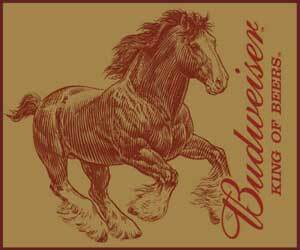 Budvar still calls itself, with some justification, "The Original Budweiser". As far as we understand it, the American brewer has been selling its beer as "Bud" in recent years because of the dispute. According to the Czech press, the two companies have outstanding trademark lawsuits in Portugal, Egypt and Italy. The Czech Budvar has a unique bitter-sweet flavor, and the brewery has taken up the study of Coca-Cola's strategies over the years for protecting its trademark and recipe. Anheuser-Busch, along with some forty other foreign firms, has been trying to buy a stake in Budvar since 1989, but the Czech government has dragged its feet in privatizing the brewery. The Czechs are wary of foreign investment in what they consider part of their national heritage. But the world's biggest brewer (Anheuser-Busch annually brews 5 times as much beer as all the Czech breweries together) doesn't give up easily. The company spends thousand of dollars in Ceske Budejovice every year, funding everything from pre-schools to winning over the locals. There are many urban legends about Czech beer. One of the best ones says that drinking beer makes you live longer because it reduces the aluminum in the body, saving it from the effects of aging and Alzheimer's disease. Considering that life expectancy in the Czech Republic is among the lowest in Europe, this may be stretching the truth a little. Beer does contain natural B-complex vitamins, though, so it does have some nutritional value. Another story going around after the revolution claimed that Czech beer is made without hops. This is pretty silly because beer without hops isn't beer. A more reasonable Czech tale concerns beer consumption when times are hard. People don't drink less beer, they just drink 10% instead of 12%, as 10% beer is cheaper. Beer is a very big part of European culture, if you didn't notice. Its like baseball to Americans, tequila to Mexicans, food to Italians. It has been in their culture for a long time and will continue to be in their culture for many many years to come.